I lost my husband Nov 2015 to terrible lung cancer. He was only 62. We have one son. My husband went 18 months and got better than worse back and forth. He worked some during these times. He also had a heart valve replacement during all this. The cancer caused 4 back disks to break. He really tried to beat this but it was just too far ahead. He was a very liked man and very special. My son misses him a lot. They were close. I am having a lot of trouble. I needed some meds for anxiety attacks. I cry a lot and just miss him so much. We were high school sweethearts. I just hate the empty home. Church helps me a lot. I know I have a long way to go. I am going to Tennessee to take his ashes in September. We were going to retire there. I have never been there without him. I am staying in the condo we stayed in when we go on the vacation there. I am hoping I may get some closure. I really miss him so much. Thank You for listening to me. Please keep me in your prayers. How do I cope with grief for my husband? I lost my husband three weeks ago. It was a sudden death and we were not able to talk before he died. I was away for work when he had a stroke. I easily cry when I remember that his leaving is final. I also grieve for my 12 year old son who will have no more additional memories of time with his dad. We were married for 28 years and practically all our weekends were spent together. That's why weekends are harder for me, stepping out alone or with just my son. Sometimes I forget and turn around wanting to say something and there's no one there. There were times in our marriage that were not so good...when I felt righteous believing that I was better. I sometimes feel guilt now for that. How do you say sorry to someone who is not there anymore? I have been asking him to present himself in a dream for me to tell him things that were left unsaid. I have gone back to work to occupy my mind but I noticed I am not 100% focused. There is this emptiness and hollow feeling inside. How do I cope? How long till it is better? Comments for How do I cope with grief for my husband? Thank you for writing to us and we are so sorry to hear about the loss of your beloved husband of twenty eight years. Feelings of guilt are natural and wishing we had time to say goodbye, but he knew you loved him after all those years. The roller coaster of emotions is going to be hard, extreme lows and anxiety. There will be butterflies in the stomach, also panic attacks. Take these for what they are, rushes of adrenaline. Let them wash over you and then get on with your routines. At times of stress our feelings are in overdrive. It is normal for tears to be just under the surface all the time. It is very early days for you and your son along the pathways of grief. Talk to your son freely about his father, cry with him and allow him to grieve in his own way and time. At 12 years old it is good that he will have many happy memories of his father. You can talk about the great the weekends you had together and visit those places again. Yes you may cry, but you may also laugh at some of the many funny occasions you all shared. You will never forget your loved one. The pathways of grief are difficult and you have done so well already by writing to us for comforting words and by going back to work. Trying to get some sense of normality back into your life is the most difficult thing. Take each day at a time, give yourself time to accept the new situation. You are probably still numb with shock and expecting your husband to walk in again any time. 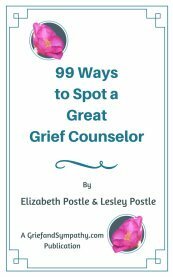 There are many pages to read on coping with your early grief and how to deal with your son's grief. Please write again and our very best wishes to you and your son. You will both cope for each other and your loved one - difficult, though this seems at the moment. I am sorry for your loss, I lost my wife about 6 weeks ago and the pain is great. I can't speak for everyone but I know there were times that I would change in my relationship with my wife. I loved her more than life but there are times when we behave less than we would have wanted to. Grief does that though, it makes you feel guilty for a lot of things. You loved your husband and he loved you and I am sure that he forgave things just as I am sure you did as well. I am at a different phase of my life as I am 65 and I do not want anyone else in my life. I want to finish well, honoring my wife and God and wait to see her again in Heaven. I will pray for you and your son! Some people ask me why I haven't taken off my ring or dated. I feel as though my husband is alive in heaven and can see me. Also I do not want to make my stepchildren sad or mad. Am I crazy? We are so sorry for your loss and you will grieve and move on in your own time. When you decide to remove your ring is your decision alone. Some people do believe that loved ones can look down on them and yes it can give comfort. However do you really think, that your loved one, if he is looking down on you, would want to deny you any chance of future happiness? If it was you who had died, would you not want your partner to find someone to share the rest of his life with? It is a compliment to the deceased that you had such a good relationship that you want to try again at finding that companionship and sharing your life. Surely your stepchildren cannot deny you that. We wish you our very best wishes for the future. This is a difficult time, take a day at a time. You will be able to cope. I am starting to find that I can't stand to see couples together. I lost my soulmate, the love of my life a few months ago after 40 years together. I just can't stand the constant crying, breaking heart and yearning for him. I just want to die and be with him again. I have never felt envy at anyone else's life but I am finding I can't be around friends and family who are all couples. It feels like rubbing salt into my wounds. I hate them all as they demonstrate such affection between each other and I now stand there alone amongst them. I just want to leave this world and be with my love again and be free of the pain and heartache that I can no longer take. We are very sorry to hear that life is so difficult at present. What you are feeling when seeing couples together is a natural and very common response, but still not easy to come to terms with. Seeing couples makes your loss much more real. Remember lots of these people may not have had the wonderful relationship that you and your loved one had. They may never have the length of time together either. Many people never achieve that close relationship in their lifetimes. Try to go to the movies with lady friends or join the ladies who lunch for company. Join groups where the single person man or lady never feel out of place. A bowls club or choir for example, or be a charity shop volunteer. Avoid invitations where you know there will be only couples, until you feel able to deal with this situation. There are many single ladies who feel exactly what you are feeling about playing gooseberry. You are not alone in this situation but we who have had this wonderful relationship have to take comfort that we were so lucky to have had that love. Try to make the most of what life you have left, live it well for your partner's and family's sake. Take each day at a time, plan to do something for yourself each day. Please don't isolate yourself. Talk to a good friend and seek a doctor's help if these very negative feelings persist. No, it is not easy and only you can say to yourself "I will cope for my beloved partner's sake. I will let the wonderful relationship we had make me strong." Do join a support group and keep yourself busy. Our very best wishes and do write again. The Grief and Sympathy team. Thank you for your comments. It is a comfort to know that my feelings are normal. My husband passed away suddenly November 2014. He was my soul mate, partner, and so many other things to me. We were a team. We were married for 44 years. He died of cardiac arrest. We celebrated Thanksgiving, he was very happy, a very outgoing person. He enjoyed and loved life. I miss him so much. I find it hard to see other couples together. I then think to myself that when my husband was alive, I never really realized what another was really going through when their spouse passed away. I often times think to myself to be happy for couples enjoying themselves because I don't know what lies ahead for them. I should thank God for their happiness and their blessings. I had a beautiful and great life with my husband. I hope I see him one day when God is ready to take me home. Thank you for this wonderful site. I see a Behavorial/therapist which helps me to keep my husband alive by talking about him. I am working through my grief, one day at a time. Thank you kindly for your helpful comments. I think the hardest thing is that I cannot see or talk to my husband. It hurts that all is over. There will be no more trips or time spent together. My wish was that we would grow old together. On June 13, 2015 was seven years since I have been retired. I understand that in time I have to go on with my life. At the present time I am still in a grieving state his death was traumatic. It is very difficult when I have been used to being in a relationship. We are talking about a whole new way of living, a truly huge adjustment. I am grateful for the time that I had with my husband that goes without saying! Thank you again. Your words are exactly how I feel. The loss is massive in every aspect of life. There is not one thing that is the same without my darling husband as we did everything together. We even still slept cuddled together. The prospect of a life without him feels impossible. Thank you so much for your comments, I appreciate them. I try every day to carry on some days are better than others. I'm sorry for your loss too. It is so painful, some days I just have to rest for a bit and then go on. I cry a lot. To have my husband for 44 years then all of a sudden out of nowhere he is gone. This is a tough one. We both feel and live with our loss. Again,believe me I know exactly what you are going through. It seems as though the world handles death as though life is for the living and once a person dies we should get on with our lives as soon as possible and this is so far from the truth. Until some one has had this experience they just don't know the feeling! I lost my darling wife on Feb 15th 2015. She died from cancer. There is nothing left of me but an empty shell. I cry constantly, I am so miserable, I don,t think I will ever be able to function again. It is going on 6 months since her passing and it seems like yesterday. We were married for 51 years. Please dear God ease my pain. Thank you for contacting us and we are pleased that you were able to do that. Six months is such a short period in the bereavement process especially difficult after 52 years together. Once the initial shock and numbness wear off life can be very hard. We have to try and come to terms with a total change of lifestyle. This will take time and some commitment. So get involved with friends, family and groups. You spent all those years being organised as a husband and a couple. Many men concentrate their lives on home and the family, neglecting their own hobbies or groups. Create a wish list of all the things you intended to do, but never got round to doing. Fishing, golf, gardening club, there are men's sheds and carpentry groups, local community halls have many courses. Learn a language or brush up on your computer skills. Some people I know joined a photography club and enjoyed that. Having to organise your days, and meeting people at new groups gives you focus and puts some purpose back into your life. Your life is important. Would you beloved wife have wanted to see you like this? Would you have wanted her to be so unhappy had she been the one left to cope? Do try to put on a brave face, for her, but also get on with your life, for you. Only you can do it. You will never forget her, you will always miss her, however, your life is still worthwhile. Many of the pathways of grief are painful. Tears are a welcome release of stress. It is so easy to hide away and mope, but it doesn't do any good. Yes, it takes an effort to plan your day, decide to visit a friend, go out for coffee, whatever, but the effort will make you feel better. Eventually, you will come to a day when you realise that you have coped better. Your long loving relationship is something that many people are not lucky enough to have had in their lifetime. Grief is the price we pay for love, and we would not have missed that. Let that relationship make you strong to cope now. You have a lifetime of many memories to cherish. Do not think that you are alone. Re-read the many pages on our site, and write to us again. Perhaps start with Men and Grief. You can and will cope. Remember, it's only six months and you have every right to be sad. But don't stay alone, get out and about and put on a brave face. I am so sorry for your loss and understand totally how you feel. After so many years together your life is so entwined with each other that you just don't know a life without your dear wife. It will take time to establish the new life without her beside you. I talk to my late husband a lot which helps me include him in what I am doing or thinking. I feel this helps me to still feel connected. I try to do just one say at a time and after five months I still spend a lot of time in bed unable to face the world. It will eventually happen but only when I am ready. I feel the extent of loss is relevant to the extent of love lost so go gently and be kind to yourself. I find it helpful to be in contact with people experiencing the same extent of loss. You are not alone. I send you strength and light. I hope that one day the intense pain we are both experiencing will ease. I lost my beloved husband on January 3,2015 due to cancer. I miss him so badly,some days the pain is too much for me. I have great support system from my husbands firefighter brothers,they have been like a second family to me,as well as all my friends that I have had from childhood.My family and my husband's family has not been supportive at all during this difficult time. Life is funny that way,the people you always thought would be there during your tough times are the first to abandon you when most needed. I take it one day at a time,I returned to work and keep myself as busy as I can with my great circle of friends that I am so very blessed to have! I know things will get better in time but I don't know anything else after being with my husband for 36 years.I will miss him always! I lost my beloved funny happy husband suddenly six month ago after 18 blissful years and I never got chance to tell him I loved him just one last time which haunts me every day and like the lady from Australia I too hate being with and seeing couples together especially if they are of a similar age or older than us. I have a step father who is 99 and only two weeks before by husband died we visited my stepfather with my niece. She said grandad didn't look very well whereupon jokingly my husband remarked, I think he will outlive all of us! Now I find I cannot visit my stepfather on my own and when I do go with my son I cannot look him in the eye. If I do I would wish it had been him to pass away and not my husband, I feel hatred toward him and I hate myself feeling that way. My husband would not want that he never felt bad thoughts of anyone but he is not here to keep me feeling happy and loving as I did when he was at my side. We had only just retired and moved to a lovely new bungalow and were planning our future together now I feel there is no future just living from day to day. I have tried to go out and enjoy things as best I can but there is no happiness in anything I do and I feel there never will be its just an existence. We are very sorry to hear about your sad loss and the pain you feel at present. You had so many happy years together that I am sure your husband knew you loved him even though you did not have the chance to say it one last time. Everyone wishes they could see their loved ones again for a chat, a hug, or just to see them. Life is not like that. It can seem so unfair at times when sick, elderly people live for many years, often with dementia, when seemingly well, younger people die. Your reaction is not at all uncommon. Many people losing their loved ones at a much younger age may have looked at you and your husband's happiness together with envy too. Please do not feel guilty but realise that life is not fair, your loved one did not die so that the older man could live longer. It is all the swings and roundabouts of lifes misfortunes. You are feeling sad and so questioning "Why"? is a natural thing to do. You should be proud of still visiting and you will get over these negative emotions. You are in the early stages of coming to terms with your loss and it takes time. You have been hit very hard as you were about to have your well earned retirement. Take each day at a time and rally a support team around you. Remember, you are not alone in your grief. It is a painful pathway but you will eventually enjoy times with friends and family again. Thank you so much for the wise words and support, just writing things down has helped me in my loneliness. I know I will never be able to get over my loss but by reading and listening to messages makes me understand more that what I am feeling is not unusual. I am trying not to let my family and friends see how difficult it is for me as you so wisely say who wants to be around people who are miserable all the time. So each time I see them I will try to think of these words of help. I have joined a local group but find it difficult to be in large groups as I once did. But I shall try to gain my confidence as I go along. Thank you again for your support and help. I'm sorry for the recent sudden loss of your dear husband. I too had the sudden loss of my husband. I feel that no one will ever take his place. August 8, 2015 we would have celebrated 45 years of marriage. I miss him so much and wonder if I will ever find peace and happiness. We shared so much together. I can understand your feelings about your 99 year old step father, in your heart you perhaps feel that he has lived a long life and your husband should be here. Life seems so unfair. I wanted to grow old with my husband. I never got to say good-bye to my husband and to tell him again how much I loved him. My husband passed away November 2014, not a year yet, I am still in a stage of grief and I cry almost every day. You are in grief and deep pain. I pray that God will bring you comfort and peace. You like me and many others that are grieving may not feel any hope at the moment. Know that others care, at least here they do. I am really comforted seeing the words of support from people who know exactly how I am feeling. Although friends and family help and are well meaning when they say I know how you are feeling, really they do not. Only you who are going through the same emotions as I am can totally understand the emptiness, loneliness and total lack of self worth at losing your precious loved one brings. In the months since my husbands death at times I am in very deep dark place, crying constantly and feeling very sorry for myself, even last week I went to the supermarket and just because I saw a couple who looked similar age to myself and my husband I started crying and had to leave without purchasing anything. I cried at home for the rest of the day and into the night. I knew I had to try and get help of some sort as it is getting worse not better. Then I found this site (after a long search). In these few days of reading the posts I now think of what has been said and get comfort from knowing there are people who DO really understand, so I shall continue to read comments and hope it helps me to gradually come to terms with my own loss and at the same time hope I can help others with their loss too. Has anyone any inspirations on how the worse feelings of heartache and loneliness can be helped I would love to hear about it. I have tried joining various social groups but I have problems with large numbers so only chose to go when I know there will be small numbers. I am hopeless at creating conversation but enjoy conversing when others if they lead. (This is when my husband helped as he easily chatted and joked with people). Sharing experiences and feelings may be the way forward, I live in hope! I lost my husband of 40 yrs, 7 months ago and it is still so very hard to believe he is actually gone. I feel like some of the other comments in that I feel very sad seeing other couples together. I always say when someone asks, how I am doing. I say, "when I'm ok, I'm ok but when I'm not, I'm not". I know only those who have lost a spouse know what I mean. Being married 40 yrs, I think the last few years, we had taken each other for granted and you just have no idea how much you did love them until they are gone. But you can't turn back time so along with grieving, you wish some things had been different. I used to think, maybe we weren't soul mates but now that my husband is gone, I definitely know we were. It's comforting to see other comments and are exactly how I feel. Today is 4 weeks since my precious husband died after a 2 1/2 year battle with cancer, I was so glad to find this site after browsing through many sites where the comments and advice seemed so negative and hopeless. After 47 years with my beautiful husband of course I am finding it tough going at the moment, and seem to be going through a strange time where amongst my crying, sometimes panic. I am also going back over things that I never really got answers to. We did not have children. That was my husbands choice and because I wanted to be with him I agreed. Now I think, did I really ever know his true reasons, and other unanswered questions. I had 47 years to ask these things - now I can't, why have they become so important? I have been looking at a lot of photos and probably dwelling on the ones when we were young. So along with my grief I think I am being nostalgic for those early days. Although I knew I would lose him as he outlived his Drs predictions of time by 2 years and I thought I had already started the grieving process, the dagger in my heart tells me I have a long way to go, but I will try to follow the advice given by Betty, I am 70 and worked till I was 68 so now is my time, today I will spend time in my garden and have coffee with a friend, that's a start isn't it? I can identify with a lot you have said as I lost my wife on Jan 24th due to cancer as well. She was diagnosed on Dec 8th and the end came so quick. I was her caregiver for the whole time and I think I was so involved with that, I didn't prepare for what I should have known was coming. Grief is inevitable, the more you loved, the more intense is the grieving process. I find I can protect the tears from coming in situations that I know will be tough but what I can't protect are the times that catch me off guard. One day I found a short note she had written and hidden. That was a gully washer. When she passed I just wanted to lay down, curl up and give up...the pain was intense. But I love my wife so much that I knew it would destroy her. We had a saying between us, "to finish well." I knew that is what she'd want and that I would do whatever I could to make her proud. I have done many things to honor her and her memory. I got involved in Relay for Life which raises money for Cancer research and have a team walking April 15th in the Relay for Life walk. I turned all of my anger toward Cancer and am actively involved in fund raising. I can get by the days but the nights are so hard. I find it easier to grieve by honoring my wife's memory. Life will never be normal, the old normal is gone and somehow we have to find a new normal that we can tolerate. I pray for you on this journey. God Bless! Me again it is going on two years now since the passing of my beloved husband. I yearn for him each day. I'm trying to move on yet it is still very difficult. It just seems that my husband should be here. I wanted us to grow old together. I just celebrated my birthday, March 5, 2016. I know my life will never be the same. I tell myself that I was blessed to have my husband the years that we were together but the pain of losing him is still so unbearable. My heart goes out to each and everyone who is suffering the loss of a loved one! I have been so used to being a couple that being alone makes me come to terms that I am not a couple anymore. Everyone else goes on with their lives and plans. I can only take each day one day at a time. Thank you Rick for your wise words of comfort, I found your idea of honouring your wife by supporting cancer research a positive way to grieve. I am honouring my husband and the wonderful years we shared by trying to keep myself healthy and engaged in life. I have just managed to drive 1400 kms to look after my sister after her back operation, some days I feel so sad that I can hardly bear it, but I know my husband would hate to see me so distressed so I dust myself off & go for a walk or get busy doing something. Life will never be the same but in honour of my husband I try. Good wishes for a successful Relay for Life. I am looking for a friend not a romance or relationship, I don't know that I will ever get there. But I would like to have conversations with someone that can understand the feelings and maybe we can help each other. I suggest email contact and if you agree then you can give Leslie at Grief and Sympathy your email address and she can forward it to me or if you prefer she can give you my email address. Pauline has sent me her email address for you. If you send me yours via the Contact Page on the site (it's bottom left on the navbar), I will forward it to you. I'm sure you will be able to provide some useful support to one another. I've just lost my fiancé 6 weeks ago and I have a 14 month old boy and am expecting another boy in January. I really need help? I can't cope without him. Thank you for getting in touch with us. Asking for help is a step in the right direction. We are proud of you for being positive enough to seek help. You are going to need a lot of support in the coming months. Please get in touch with your close friends and family and let them know how much you will rely on their support. People do like to feel they are needed but often don't want to intrude or are uncertain what to do. This is such a difficult time in your life, you may feel you cannot cope but you will. The children will help you to cope, for their sake and for the wonderful legacy that your loved one left you. For a while you will be on auto pilot, just coping with each day's care of your toddler and looking after your health for your new baby's sake. These tasks will be a welcome distraction from your grief. Give yourself time to absorb the enormity of your loss. At the moment it is all a huge shock to you and the priority challenge is getting through each day coping with the trivia each day presents. You and the two babies will be your life's focus and give you the strength to carry on. It is what your loved would have wanted and you will do it for him. Your midwife or health visitor should be putting in extra support for you and the toddler and do get a counselor involved, you will need to talk to people who understand your needs. Talking and crying will be an important part of the grieving process. You will have emotions in roller coaster mode. Don't be scared of these and anxiety attacks, they are natural and will pass. I do hope that you have a close friend or supportive parents who can stay with and help at this difficult time. It is not going to be an easy time for you - the pathways of grief can be traumatic, but you will cope for yourself, your babies and your loved one. Losing someone we love is the hardest thing to cope with, but we would not have been without that love would we? Our thoughts are with you. Do contact us again at any time. 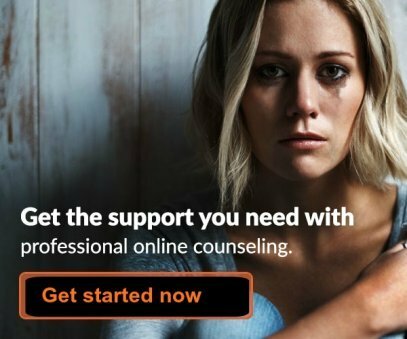 You are not alone, we are here to help. You can also join our Facebook page - I'll post your thread there too so you can see if anyone comments on it for you. Oh my goodness you poor darling. My heart goes out to you. I am so very sorry for your loss. I am now 8 months into a life without my soulmate. I too did not want to go on but your children will give you strength and you will do it for them as well as your loved one. You will find you have more strength and courage than you thought and the pain will slowly but surely begin to ease. I wish you much comfort and strength. Stay strong you can do it step by step. Everyday I keep asking for the pain to go away. I cant seem to stop crying all the time. waking up each morning it feels like I'M going to break. From laughing and smiling all the time to such sadness . The worst part of all is that morning i dropped him off ready for his charity walk then later that afternoon i got the horrid news that he said he wasn't feeling well and sat down then minutes later they had to do CPR which they couldn't save him. We had so much planned to raise our kids right. He was the best father anyone could ask for. I'm heart broken. I have no strength to do anything. Feeling very low. I have been ill and in hospital for a while. On the day I had my second operation my husband was brought into the hospital and he died I had been got out of bed and taken to him. I then had to have another big op. I am out of hospital now but still restricted in what I do. My husband was my world and we had been together over 30 years and I know my recovery has been hampered because of this. I never imagined that anything could hurt so much I adored him so. I have no family and we had no children and we did not really have friends just each other. I think I am going mad as I am alone. I even had to give away our dog as unable to look after him. It will be about another month until I can go back to work. Thank you for writing to us. We are so sorry for your loss. This is such a difficult time for you. Losing a life long partner is like losing a part of yourself. You do need support at this time, someone to talk to and information on what is available in your area in the way of bereavement groups. You have just been through a difficult illness and surgery, now you are suffering the early stages of bereavement so you have multiple challenges. You have made the first step by asking for help and I am proud of you, for that is often the most difficult. I see you are in the UK. Your GP surgery will have a Health Visitor attached and so do ask for a visit. They will give you all the information on what facilities are in your area. You may need rehabilitation after your surgery. She can put you in touch with all the agencies available to you. No one should feel so isolated and alone. You just need to know what services are there. An assessment of your needs and someone to discuss how you feel, will be a good start. Health Visitors are there for all the family, not just baby clinics. (I used to be one myself). This is not an easy time for you. Yes, in time it will get easier, but at the moment let yourself grieve and do get some extra help for yourself. Ask your surgery to send your Health Visitor to see you. the luxury of a happy 30 years together. This does not make the loss any easier but it does make us realise how lucky we have been. Our very best wishes to you. That's so much to have to cope with, my heart goes out to you! I do hope you find the support you need. In my journey of loss I have learnt to seek and accept help wherever I could - that was hard at first. I've been lucky to have some close friends who have helped me, so I can see that will be even harder for you. Have you thought about seeing a counsellor at all? I am so sorry for what you are going through. I lost my dear mother unexpectedly in June 2015. I have never been the same since. I feel so empty. I cannot believe I made it this far. I believe she is still with me and that is the reason I am somehow finding a way to keep on living. I don't want to disappoint her and live the rest of my days crying my eyes out and living like a hermit. I am 44 years old with no children. I have one brother who just seems to go on with life. I have drifted away from my family as the hurt seems to come back when I see them because my mom is not alive. Please just know that your husband would not want you to live a life filled with grief. He would want you to keep on living through his memory. You know he would want that. Believe I do have my bad days but we must go on in honor of our departed loved ones for we shall reunite with them when our time comes. I will pray for you to have strength. Even though you might feel there is no God or God let you down. Don't. Talk to Him He will deliver you. And though its extremely hard you need to understand that your husband is in paradise and is not suffering any longer you will see him again. But until then remember there are many of us with you that have experienced a loss of a loved one. Its hard for me to even go to the store or just to be out because my wife is gone. lost her this January lung and brain cancer. Now I sit alone in our home. kids moved out friends are gone. Everyone has just abandoned me. 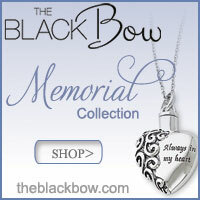 The death of a loved one is very personal to each of us that"s affected by it. My heart goes out to you.May you be well and may God comfort you. Does anyone know of a site where you can talk to someone and build up a friendship. I am a 65 year old male who recently lost the love of his life. I miss female interaction but I do not want a relationship other than friendship with a female. I do not want to mislead someone as I do not believe it would ever go beyond it. Surely there must be women out there that feel the same way and we could fill a gap for each other and it be a win-win situation. I wish you all the very best in your search and I'm sure you'll have lots of new friends very soon. I know exactly how you feel...I am the same age and feel the same way. It is two years ago this week that I lost my husband of 42 years very suddenly and unexpectedly. I'm not interested in romance or a relationship, but instead a friendship. I try to stay active, volunteer, have worked some part time, but it isn't that easy to meet anyone. My best advice is to just take life one day at a time, always find something to be grateful for, and trust that when the timing is right, things will work out. I try each day to remember my own advice! My husband died 6 weeks ago and I can't stop crying. We were married 48 years and still had many things planned together. Just feel lost. We are so sorry for your loss and cannot imagine the trauma you are going through at present. But, you should be proud of yourself, as the first hurdle is asking for help. Tears are a way in which the body relieves itself of stress so welcome them. One day you will feel that you are all cried out and will move on. You are only at the beginning of the grief process and the pathways will not be easy and at times very difficult. None of us know real grief, unless we have known real love, would we have forfeited that? Do read our pages on coping with the loss of a spouse and how to survive the early stages. Try to keep busy, plan each day, keep ahead of household duties. You will feel that you are coping if household finances and chores are dealt with. You will be working on auto pilot for a while. After your long relationship it is like losing a huge part of yourself, like losing a limb. Take everything a day at a time, involve yourself with family and friends. You will get through this but give yourself time, you will cope with this huge life crisis, for you, your family and your loved one. Confide in good friends accept their help and make an effort to go out with them. It doesnt matter if you get upset - that is all part of the healing process. You will never forget your loved one. Yes you will continue to miss him but you will learn to cope. You will continue to tell him about your day. Some bereaved even write a diary or letter to their loved one each day. Others talk to a photograph. There are many practical tools on our web site to help you along these pathways of grief. Please read them and contact us again whenever you need to. Our very best wishes. The GriefandSympathy Team. "One day we will remember how lucky we were to have known their love, with wonder, not grief." So sorry for your loss. I'm traveling that road now. We would have been married 46 years shy of 6 weeks. It'll be 3 yrs this Aug and there's not a day that goes by that I don't cry. I know the more you're connected to your spouse and how deep your love is makes it that much more painful with heartache that's unbearable. The only way I've managed to get thru each day is with the help from God. I also started a journal and every time I dream about my husband, I record it, so I can look back and remember all those dreams I've had about him. My prayers are with you. 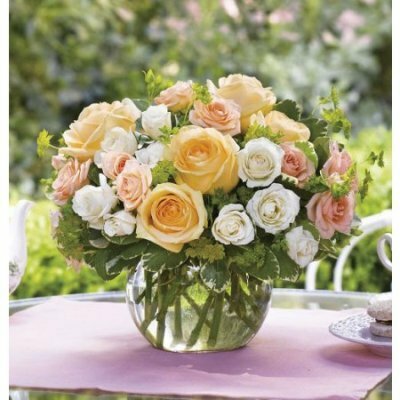 Barbara please accept my deepest sympathy. I really don't have any advice for you as I still feel the same as you after nearly five months. I still say goodnight to me husband and tell him how much I love him every night. This helps me to still feel connected. We had so many plans and so many years ahead to enjoy together. My loss is for what he has lost as well as what I have lost. If words or thoughts can comfort you in any way, then I hope this helps you. I send you positive thoughts for strength. Go gently and be kind to yourself. There are lots of people who will expect you to overcome this quickly but take it in your own time. They might one day understand the huge extent of your loss. Hopefully we will one day be together with our loved ones. The difficulty is trying to get through the time in between. MY wonderful husband died recently, his EX-wife wants to come to the funeral...I know that he and his family hates her! What should I say\do to keep her away??? They have 2 grown sons who already asked me for 1/2 his things===One short month ago my husband said to me, "They took whatever they wanted from me when I was alive! So If something happens to me....Tell my nurse to call the Police.......and don't give them anything! Promise me!?" he said. Thank you for your question and we would like to convey our sympathy for the debilitating grief you have. Congratulations for having had such a wonderful relationship with your beloved husband. This is a very difficult time for everyone involved, so I urge you to accept as much help as you can from family and friends. Do organize your beloved's funeral as you know he would have wanted. It is difficult to get involved, we would all like to think that this is not really happening, but sadly we have to come to terms with reality. You will feel better in the future, if, you have managed to get involved in all decisions. It helps if you focus the mind on all the details of what is going on, difficult as this is at a time when you wish to hide in a corner and pretend none of this is real. 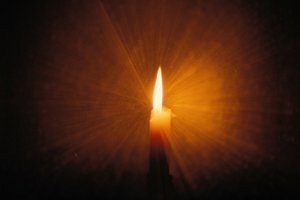 You will be numb with shock for a while - this helps us to cope in the early stages of grief. Life itself, I like to think, is full of varied chapters. Your beloved had a chapter of being married before and producing children, they were an intimate part of his life at that time. It does not, in any way, diminish the relationship you had together. However, the fact is, they were close family to your husband in his lifetime. 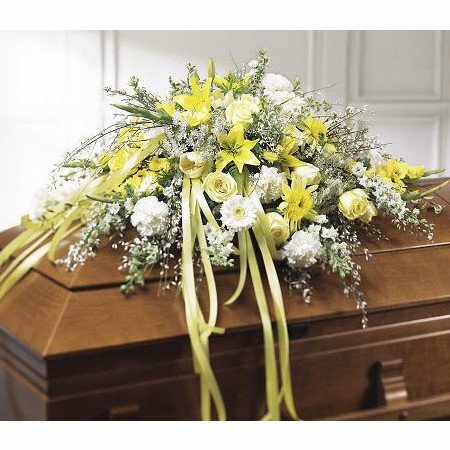 If you have a very private funeral with close family only, then perhaps, you could exclude them. But if you have a public funeral for all family and friends, it may be their right to be there. If you feel very strongly about this you may have to discuss this with a solicitor. The problem you brought up regarding your beloved's property is not in our province but that of your solicitor. If there are small mementos you feel his sons would like, this may solve the problem amicably. This is indeed a difficult time for you but consider - he was father to his sons and it may give you comfort later to know you did not deny them this last important contact with their father. We wish you well and hope the family funeral gives you comfort. We can only do our best at such difficult times. Where to start healing first after divorce? I don't know what stage of grief or sadness I am at, or am I just totally overwhelmed by what has happened to me? I have lived abroad in Spain for 20 years , then the Dominican republic the last 2 years, with my husband and our son who is 20 and our 13 year old daughter. After many years of not really being happy with my husband but having a very comfortable lifestyle, nice holidays and no particular money worries, I decided I had had enough of a very controlling, arrogant, possessive and jealous person who hated anyone being close to me particularly my mum, and caused me a lot of emotional stress, who thought he was the greatest person on earth, and who would not want to be married to him, impossible to confront. When I wanted to divorce it was a war zone, he used the kids as a weapon, they were stuck in the middle, we had a business that we bought for my son which was run by my husband and my son and I did all the management side, it was just starting to make money but not enough to provide me with a house and money to live on, and my husband threatened all sorts of things that I could not allow my children to go through or see there parents do, he declared war,so I didn't have a choice but to pack 2 suitcases and leave with our daughter and live in the UK with my mum. My son did not want to come and I know why he has a good job, he loves his life there he is living his dream, I am very close to him but he did not want to leave his dad and all we had worked so hard for. We contact each other every day and he has been to visit me 2 weeks ago and we have agreed to see each other every 4 months, he knows I am broken hearted about leaving him. My daughter has adapted well she is in a new school she likes and says she likes it here,we left 4 months ago, she has some contact with her dad but he is no way as distraught as I am. I don't feel like I fit in here going out and being in shops is a nightmare, I feel like a total alien, I am on antidepressants,I have managed to get a part time job that starts soon but I am so emotionally a mess don't no if I can do it. I feel a raging jealously over the loss of my life and all the things my husband has, his dream life and I feel like I am on the scrap heap, the house is for sale so I will eventually get half of that, but I still have grief all day everyday and see no hope or future, I panic about everything and cry every day, I miss my son so much .If anyone reads this and could please give me any advice I would be grateful. Comments for Where to start healing first after divorce? Lesley from Grief and Sympathy here. I feel for you, as I went through a similar thing myself, and strangely enough lived in Spain too for many years. I have rebuilt my life and now enjoy my freedom, but it did take a while. It can take many months to get over the stress and anxiety of the break up and to learn that you don't need to be nervous of everything anymore. It takes a long while for the realisation to sink in that you are really free. When I got my first real home about a year after breaking up, I painted a room orange, just because I could. It helped to do things to prove to myself that I could do whatever I liked now. I too lost many friends, a beautiful home and a fabulous lifestyle, but I have rebuilt it, and now have a partner who shares it with me, and supports me in everything I want to do. It was definitely worth going through, and you will get there in the end. Of course you will miss your son. But he is an adult now, and they fly the nest at that age. You are unfortunate that you have to deal with the grief of that, as well as your huge change of lifestyle at the same time. Take each day at a time for your daughter's sake and your own. Be strong and prove to your ex that you can cope and don't have to rely on him. Good luck. As my mother says, "Let coping with challenge make us better not bitter. " Hello, I just found your site. I lost my wife of 30 years this January from lung cancer which went to her brain. I am all alone now - kids moved out and no one comes over or calls anymore. What happened? Everyone has abandoned me, kids left, friends everyone gone. I guess I'm still coping, crying a lot, living off 5000.00 insurance money which is about gone. I don't know how I'm going to keep our home which is all we really had. I resigned my employment to be her caretaker now I can't find work. Do you know anyone that can help me? Steve I am sorry to hear you are feeling this way. I have managed by trying to meet people in similar situations. Try to join widow groups etc. Also try doing things you haven't done before. It can be a tough road but be kind to yourself and take a day at a time. Things can change if you want them to. Thank you for writing to us, this is a big step forward, as you are able to ask for help. We are sorry for your loss and so pleased to hear that you had your loved one for 30 years. Your loss is emotionally intense. To be a couple for so long, then find yourself alone is a huge upheaval. Your loss is so recent that you need to come to terms with it before making long term decisions. You will need to get financial advice before making huge lifestyle changes re your house. Only you can change the loneliness aspects of your life. There are so many groups or classes that you can join. If no one knows you are sitting at home lonely, no one will visit. Look at our page on how many opportunities there are out in your community to meet people. You are not alone there are so many single people looking for company.I am sure there will be something of interest in your local community center. Jobs are so difficult to find in this financial climate, but do not give up, keep on trying. Try doing some voluntary work whilst you are looking. You will meet new people and sometimes it results in a long term job. Your family have left home but you can visit them or have them for holidays. Shock after the loss of a loved one can last for months and you work on autopilot mode. Give yourself time. Try to go out as much as possible, ring old friends, do not be afraid to ask for help. Why do memories of earlier days flood my mind and tears begin but the same memory would bring a smile before my husband died this month? We are so sorry for your loss and hope that you will find some comfort among the pages of our site. Your journey is just beginning and emotions are in roller coaster mode for many months. A major part of the grieving process is the absence of the loved one who you could share the slings and arrows of life’s experiences with. Shared memories that you discussed and laughed at together can now cause heartache and pain. These memories can surface at any time when you least expect it, walking past their favorite bookstore or the park where you walked the dog. Let the tears come, relax and move on. Tears are a normal part of the grieving process. The memories you do have will become precious gems that will in time bring comfort and you can laugh again at those happy times you had together. These tears you shed now are good signs that the shock and numbness of the earlier days are passing and it is good for you to cry and relieve pent up tension. Grief is the price we pay for love and we would rather have had that love. The pathways of grief are difficult but you will cope for your loved one’s sake as well as your own. Make positive plans for each day, see family or friends, continue with your hobbies and eventually you will find yourself able to wonder at how lucky you were to have had this love. When is the right time to take off the wedding ring? My husband died about 5 years ago now. I'm only 46 and I've been out with a few men recently, but nothing serious. I'm wondering if I'm putting them off by still wearing my wedding ring, but I can't quite bring myself to stop wearing it. What experiences have others had of this? Comments for When is the right time to take off the wedding ring? This is a totally personal affair, after a long, happy marriage many people prefer to leave their rings on. If a new relationship is formed many wear them on a chain around the neck. The partner was a major part of your life and so will never be forgotten. "There comes a time when we no longer want to drag a dead body around with us. When the empty space next to us is filling up with our new sense of self. When we want to invite a new person into our lives". I lost my husband that had been a part of my life for 25 years. He was only 48. I just turned 45. He passed away Sept 3/2013. Yesterday day someone said to me, I see you're still wearing the ole wedding ring. Kinda made me mad. I responded, he passed away, I didn't divorce him. He's still my husband and always will be and I love him. I most likely will never take it off. There wont be another. No one would be able to compare to him. I too lost my husband last year and the funny thing is I hardly ever wore my wedding ring before, but since his passing I have had it resized to fit and wear it whenever I feel I want too. 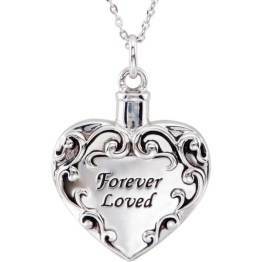 To me it was symbol of our life together and when I want to have a little piece of him with me I slip it on. I don't care what others may think, grief is very personal, and I for one feel this year is a lot tougher than last year. The reality of him never coming back has sunk in and but I know its time to move forward with my life but my ring is just my way of staying connected to him. A momento that reminds me that we were special. I lost my Husband 7months ago, he had prostate cancer we were married for 20 years. I will never take my engagement or wedding ring off I loved him so much, there can never be another for me he was my husband,solemate,love of my life and best friend. I lost my wonderful wife almost a month ago and I can't get through a day without tears. When will this awful feeling leave me? I know exactly how you feel. I lost my beloved husband of 43 years 6 weeks ago and am also going through a horrible time and have felt physically sick. I cannot be of any help at this time except to share your pain. I wish there is an answer and am hoping that time will be my great healer. I hope that I am right. Cynthia, Trust me, it gets a little bit better each day. Stay busy and talk to people as much as possible. It is going to take a long time but it will happen and you'll feel better. Glad that you are beginning to feel better. Sometimes I cry unconsolably , scream and shout for him to return but realize that no amount of weeping and wailing will ever make him come back to me and makes not one iota of difference. Luckily I choose moments when I am alone otherwise people will think that I am bonkers . My friend recently like 4 months ago lost husband after 1 yr battle with cancer. This was a very devoted loving couple. Young..in her forties, she has a 12 yr old, a 16 yr old and 2 more in their 20s. She is now "girl gone wild", doesn't stay home, goes to bars, meets men, promiscuous as all get out. I am appalled by her behavior. Comments for Widow on wrong path? Sometimes that could be a way of temporarily staving off the grief. Too hard to face it. Poor soul, a year of fighting cancer would have taken a huge toll on her, as well as the huge loss and overwhelm of responsibility. No tears of grief after 3 months? I still have not cried. It is almost 3 months- I feel sad but not devastated. I went to bereavement class and felt weird since everyone seemed way more emotional. I loved and miss my husband, I just don't feel the grief that everyone else seems to feel. Comments for No tears of grief after 3 months? Thank you for your message. We are very sorry for your loss. Not being able to cry for a few months is common during the grief process. Shock and numbness protect us, but there is no time limit on this, we are all different. Once we have cried it means we have accepted our huge loss and many of us can not accept that it has happened. It is like putting off the inevitable pain of loss. It will happen and once the flood gates of tears start, stopping may be the problem. One lady was coping then her tears, after 5 months, flowed on the golf course in the middle of a match. You are grieving in your own way, in your own time, coping how you can. Take each day at a time and try not to compare yourself to others. You know how much your loved one meant to you. Taking in this enormous loss and realising that you have to cope without him takes time. It is not easy. The roller coaster of emotions will come and asking for advice is a great start. You may find our pages on 'Loss of a Husband' useful. Is it possible to feel the emotions of a loved one after they have died? I lost my husband just over a year ago and I have been finding it very difficult to come to terms with my loss having succumbed to emotional eating and other forms of 'self-medication' that are not serving me. Yesterday I felt my husband was very close to me and I also felt that he was extremely sad for me and wanted to help in some way? Can you tell me, is it possible for a departed loved one to have feelings for us after they have died or am a just imagining things. What I thought I experienced yesterday was, for a few moments, absolutely palpable. Comments for Is it possible to feel the emotions of a loved one after they have died? Thank you for writing to us, we are very sorry to hear that you lost your partner only a year ago. I'm sure you realise that comfort eating is not the long term solution but to admit it means you will control it when you come to terms with your huge loss and begin to know just how awesome that love was. When we want something so desperately, it is easy to imagine that it is real. You want to see your loved one again, talk to him and feel him close. All natural reactions to loss. You know that he would have been sad to see you so unhappy and so it is natural to feel as you did. A lot of us manage our grief by living for the lost loved one and enjoying time with family and friends as he would have wanted you to do. This early pathway of grief is hard. You have reached out to us for help, so you are positive and will cope. No-one finds this time easy. Many of us still talk to our loved one's photograph each day and pretend they are still listening. It's a comfort for the grieving really but anything that helps is good.